"The Late Show" released the clip on Twitter a few hours before the show airs. 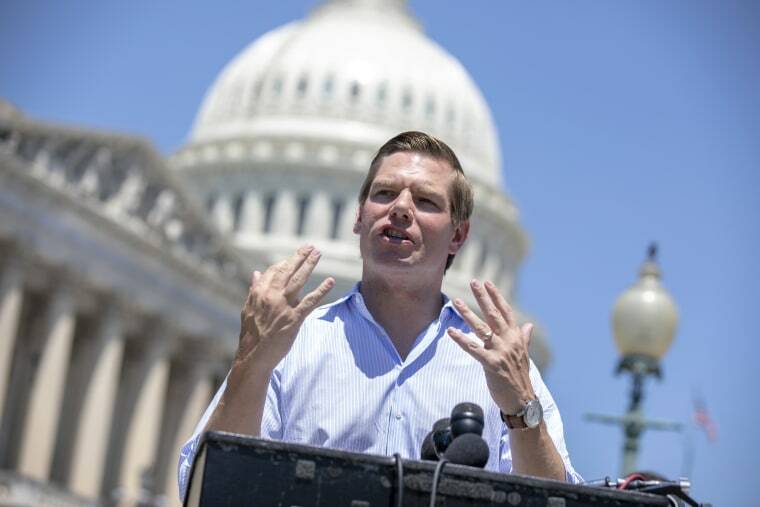 Swalwell also filed paperwork with the Federal Election Commission to officially set up a presidential campaign committee. Swalwell, a 38-year-old member of the House Intelligence Committee, is a prominent voice on questions of Russian interference in U.S. elections and other investigations into the Trump administration’s dealings with foreign powers. Cameron Kasky, a survivor of the shooting who became active in the March For Our Lives movement for gun safety, was the congressman’s guest at President Donald Trump’s State of the Union Address and Swalwell wrote an op-ed last year saying he was inspired by the movement.